We specialize in providing quality power equipment sales and service for professionals and homeowners. At Swineharts, we focus on selling and servicing products that will help our customers cut grass efficiently and profitably. Since 1975 we have built an excellent reputation in our area as the "only place to buy power equipment for both Homeowners and Professionals". We have highly skilled personnel that will do everything possible to make you a lifelong customer. Please browse our web site and feel free to contact us with any questions you may have. You may contact us through this site, but we still prefer the "old fashioned way", person to person, so call or come by soon! We are large enough to bring you all the latest technology yet small enough to offer you "personal" service. 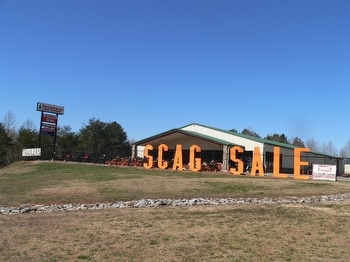 Swineharts is proud to be an authorized dealer of Scag Power Equipment. We also carry a fine line of equipment from dealers such as Stihl, Honda, and more. Please call us at (706) 778-7314 or email: swineharts@windstream.net to arrange for a demo or stop by to see our top quality line of equipment, guaranteed to make your job easier. Copyright © , Swineharts Power Equipment All rights reserved.